We would be willing to bet you didn’t purchase your current set of wheels on a whim. Chances are you spent weeks, maybe even months, researching your many options, assessing your needs, and determining your budget. Then, after working closely with both sales associates and financial advisors, you were finally able to drive home in the car you’re proud to own to this day. 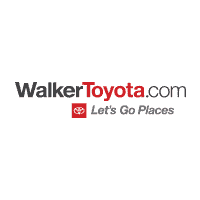 When purchasing something as pricey and as impactful as a vehicle, it’s only natural that you would want to be somewhat discerning every step of the way–and if you ask us here at Walker Toyota, that remains true even once the car has been transported from our showroom to your driveway. That’s why encourage all of our Miamisburg, OH patrons to shop our accessories department when in need of any automotive accessories. From roof racks to floor mats, you can find virtually any particular part or accessory you’re looking for. And contrary to popular belief, we don’t solely supply Toyota accessories. You’ll see over thirty of the most popular automakers featured on this page. Hover your mouse over the one that pertains to you, then select your model year form the drop-down menu. Continue through the instructions, as this information will help to assure you’re shopping for accessories that have been crafted to fit as seamlessly into or onto your car as if it came that way from the start. Not seeing the particular part you’re looking for? Be in touch with the folks here in our parts department by calling 888-714-6170. Need assistance properly installing the accessory you desire? The folks here in our service center are more than happy to be of assistance. Or, simply stop by Walker Toyota, serving drivers from Dayton, Middleton, Cincinnati and Springboro and chat with one of our knowledgeable sales associates who can point you in the right direction.